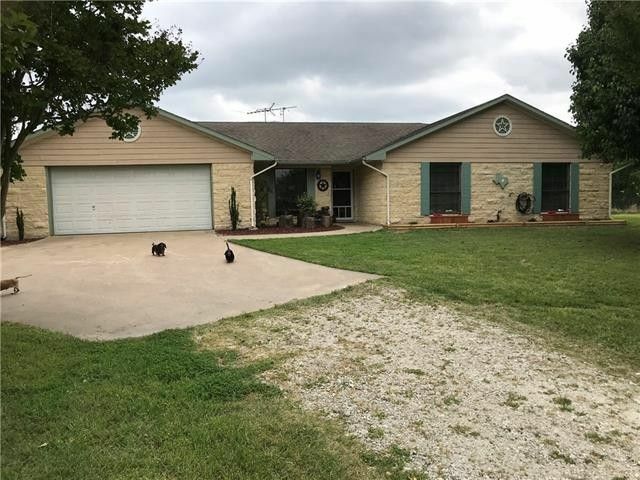 Come see this very well maintained home with 10 acres, 2 ponds, oversized 2 car garage and workshop on end, and a barn with 2 stalls, and tack room. Home features remodeled gourmet kitchen with an island bar and sink. Nice big pantry, with a dining area that flows into the living room. Sunroom was added on back of home. HVAC system jus replaced, septic system pumped. Master bath recently remodeled and has his and her walk in closets, with tub and sep shower. Most of the home has been freshly painted and new landscaping.Flat screen TV in living room and surround sound will remain with property. There is also a home office with built ins, mudroom with double sinks. All info to be verified.